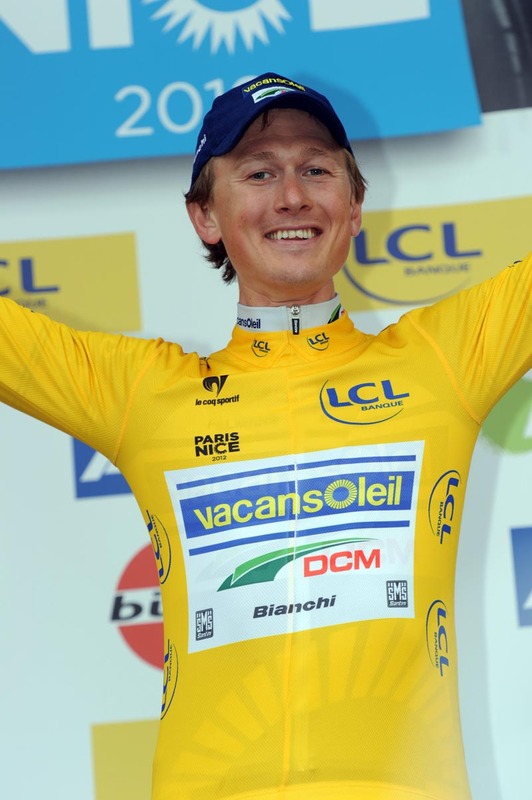 Gustav Larsson (Vacansoleil-DCM) won the opening time trial stage of the 2012 edition of Paris-Nice on Sunday, with Brit Bradley Wiggins (Sky) placing a close second. Wiggins’ ride was all the more remarkable given that the later riders had to set off in the heavy rain. Despite the conditions, Wiggins didn’t hold back, sweeping through the many bends of the technical 9.4km course to lose only a second to Larsson, who’s time was set in the dry. Wiggins was five seconds down on Larsson at the intermediate checkpoint, but rode much quicker over the second leg to make up time. Defending Paris-Nice champion Tony Martin (Omega Pharma-QuickStep) rode cautiously in slippery conditions and finished well down the results in 28th, some 25 seconds behind Larsson. Thomas De Gendt (Vacansoleil-DCM) put down the early marker, riding the 9.4km course in 11-31. De Gendt’s team-mate Larsson then sliced a huge chunk from the Belgian’s time, posting 11-19 followed soon after by Levi Leipheimer (Omega Pharma-QuickStep) with another quick time of 11-23 – enough to end the day in third spot. De Gendt finished in fifth place and earned the King of the Mountains jersey after clocking the quickest time up the third-category climb of Cote des Dix-sept Tournants in the first two kilometres of the stage. 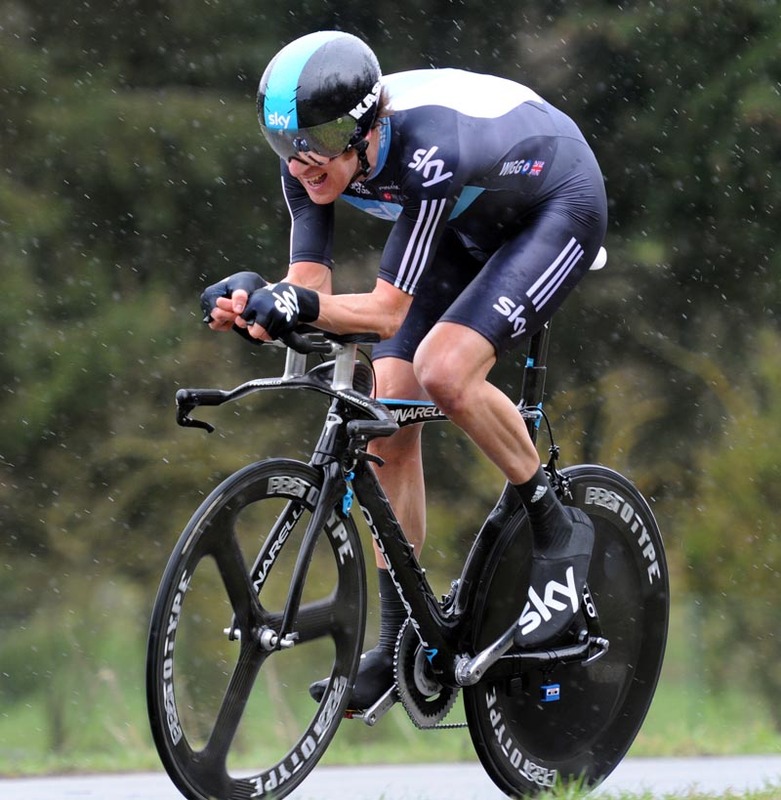 Wiggins’ team-mate and fellow Brit Geraint Thomas (Sky) finished in 32nd, 26 seconds adrift of Larsson’s time. Saxo Bank hope Nick Nuyens crashed heavily on the course, ending any hope of vying for a top position in the race. Bradley Wiggins’ Paris-Nice campaign could not have started better, having already gained valuable seconds on his major rivals with only 9.4km travelled. Frank and Andy Schleck (RadioShack-Nissan) perhaps fared the worst of all the Grand Tour bit hitters at the race, finishing 121st and 142nd respectively. 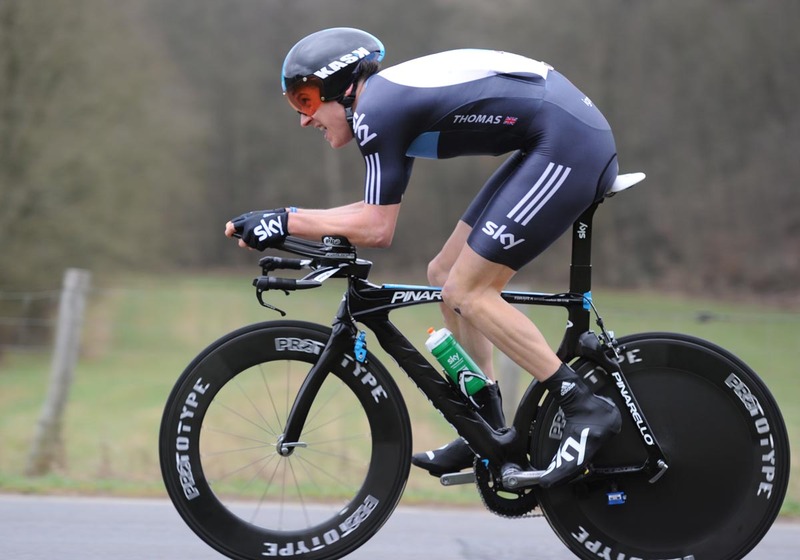 “I didn’t take any risks in the corners but I knew in a straight line I was flying,” Wiggins said on www.teamsky.com. Wiggins has already taken one win this season, winning the final time trial of the Tour of the Algarve in February. His major aims for the year are to contend for the overall win at the Tour de France and clinch gold at the Olympic Games time trial. On Monday, the riders face the opening road stage of the 2012 edition of Paris-Nice, a 185.5km trip from Mantes-la-Jolie to Orléans. A relatively flat profile looks like a day for the sprinters.